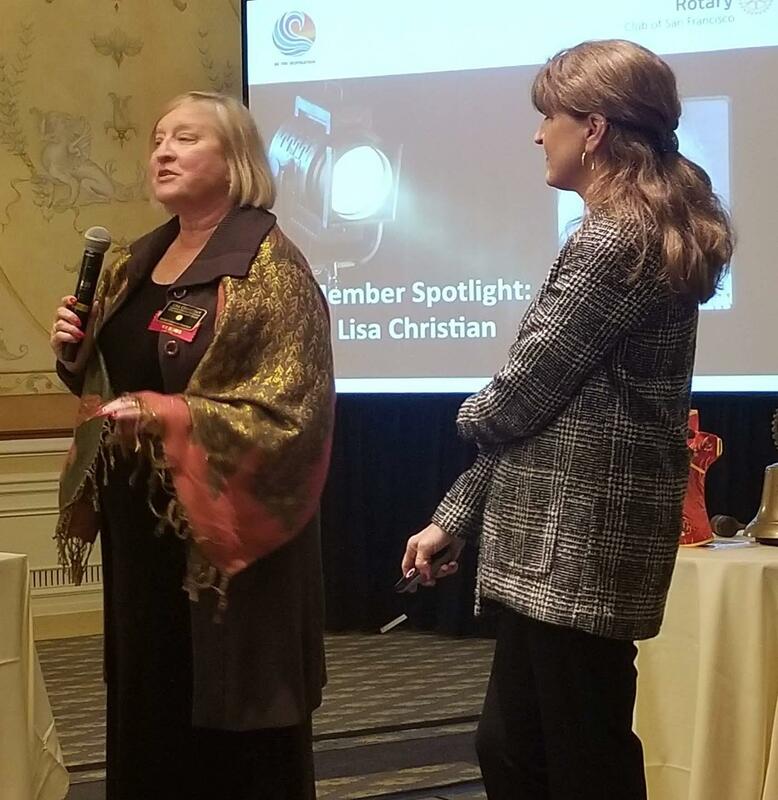 Today's Member Spotlight was on Lisa Christian (Development). who shared her own East Coast roots and noted that her entire family was involved in working with various nonprofits throughout the Bay Area. Lisa and her family also have a deep love of dogs! The Club recognized John Mathers (Management Consulting; eVo Associates), Lisa Stark (Video Production Services), and Kevin Waldeck (Financial Management; Morgan Stanley Investment Management) as Paul Harris Society members, and Casey Blair (Foreign Equity Trading; Feis Options) and Lisa Stark as a Paul Harris Fellowship Recipients. These members were given a standing ovation. Rhonda named Brian Lan (Financial Advisor; Merrill Lynch) as the December Rotarian of the Month and thanked him for his dedication to Club activities and for helping with the communication and club service committees. San Francisco Rotary Foundation President Tim Hornbecker (Human Services; The Arc of Alameda County) presented a check to Josie McHale and Connor Krone (Non-profit Management; Student Investment Lab) for Interact, while recognizing Cecile Chiquette (Accounting Services; Retired) for her $1,000 contribution. Tim also presented a check to Sunny Singh for the annual Bike Build. Tom Brunner (Non-profit Research; Glaucoma Research Foundation), to introduce Christopher Wiseman, who recently joined the Glaucoma Research Foundation as the Assistant Director of Events. They thanked the Club for their support and shared several upcoming events including the 1/31/19 Gala and a research seminar on 2/1/19 & 2/2/19. Bebo White (SLAC National Accelerator Laboratory), who shared that he will be teaching a class on cryptocurrency at USF's Fromm Institute. Major Raymond Erickson-King (Human Services; The Salvation Army Ray & Joan Kroc Center), who shared Salvation Army Bell Ringing event on Friday 12/7/18 from 10am-2pm. 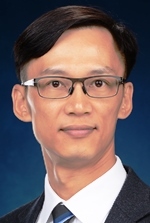 Today's speaker, Ivanhoe Chang is the Director of the Hong Kong Economic and Trade Office in San Francisco. Ivanhoe gave an overview of the economic history of Hong Kong, including its humble origins. Ivanhoe talked about how Hong Kong exemplifies the benefits of free trade and open markets, and about the city's close business ties to both the US and the rest of China. Finally, he noted several new economic developments in Hong Kong. 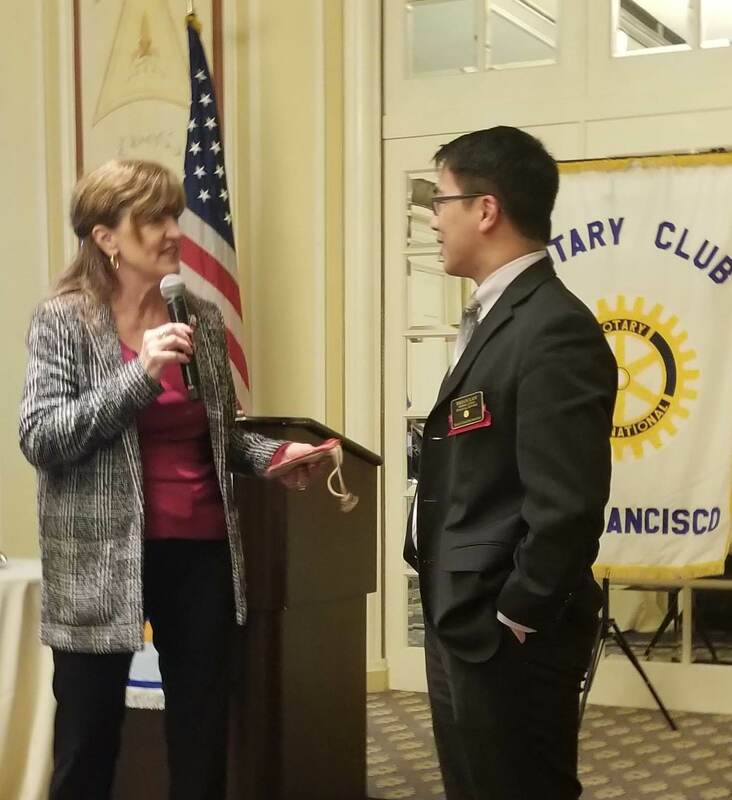 Rhonda thanked our speaker and presented him with a gift from the Club recognizing that 100 children were inoculated against Polio in his name. Today's Door Prize winners are Brian Lan and David Shen (Dentistry - Orthodontics; OrthoWorks Orthodontics Group). Photos by Mark Enis (Asset Management; OpenKey Group). Edited by Scott Plakun (Management Consulting; The Plakun Group).